Holy Mackerel, sharks are trending everywhere: on Twitter, the big screen and the small screen! How about we reel you in with a few random shark facts every scuba diver should know? 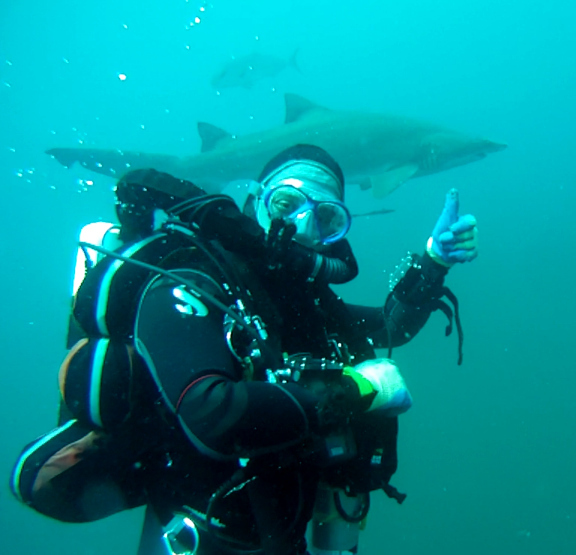 Scuba NY’s very own Jimmy swimming with tiger sharks at the site of the wreck of the Caribsea, Atlantic Beach, NC. • Shark attacks are rare. The US averages just 19 shark attacks each year and one shark attack fatality every two years, according to Nat Geo TV. Meanwhile, along the coastal U.S., lightning strikes and kills 37+ people each year. That being said, we wish the two teenage N.C. shark attack victims very speedy recoveries. • Making a huge splash celebrating the 40th anniversary of its release is the movie Jaws, which has grossed $470 million (and climbing). Peter Benchley,Jaws-author-turned-ocean-conservation-advocate, says if he were to rewrite the movie, the shark would be the victim not the villain. • Humans are a greater risk to sharks than sharks are to humans. As many as 73 million sharks are killed annually for their fins, which are used primarily to make shark fin soup for Chinese and other Asian markets, as reported by the Animal Welfare Institute. • Mary Lee, the 16-foot great white shark Twitter sensation, is the most famous fish since Charlie the Tuna. Tagged with a GPS tracker off of Cape Cod and monitored by OCEARCH since 2012, Mary Lee has cruised a whopping 20K miles throughout the Atlantic Ocean. Each time her dorsal fin breaks the water’s surface, a ping is emitted generating a tweet with her location in real time. As of last night, she’s cruising somewhere off of S.C. Become one of her 76.2K Twitter followers, @MaryleeShark. • Sharknado 3: Oh Hell No! will be released in movie theaters July 22. See what happens when the sharknado hits Washington D.C. and Orlando. • Underwater cameras emit electrical signals sharks can mistake for food. • Mark your calendars: Shark Week 2015 begins Sunday, July 5 on the Discovery Channel. Learn how sharks can be turned into zombies and more! • If you encounter a shark while diving, be sure to move gracefully through the water. If the shark is doing the same, odds are with you that it’s no threat. Telltale signs you might be in danger: the shark moves erratically or quickly; arches its back; points its head upward; or lowers its pectoral fins. • Sharks inspired the design of the DC-9 airplane — round and tapered at both ends; able to glide easily thru water with minimal energy. • PADI offers distinctive specialty courses, including AWARE-Shark Conservation Diver, Whale Shark Awareness, among others. Contact us to find out about prerequisites and our course availability. • Hooked on sharks? 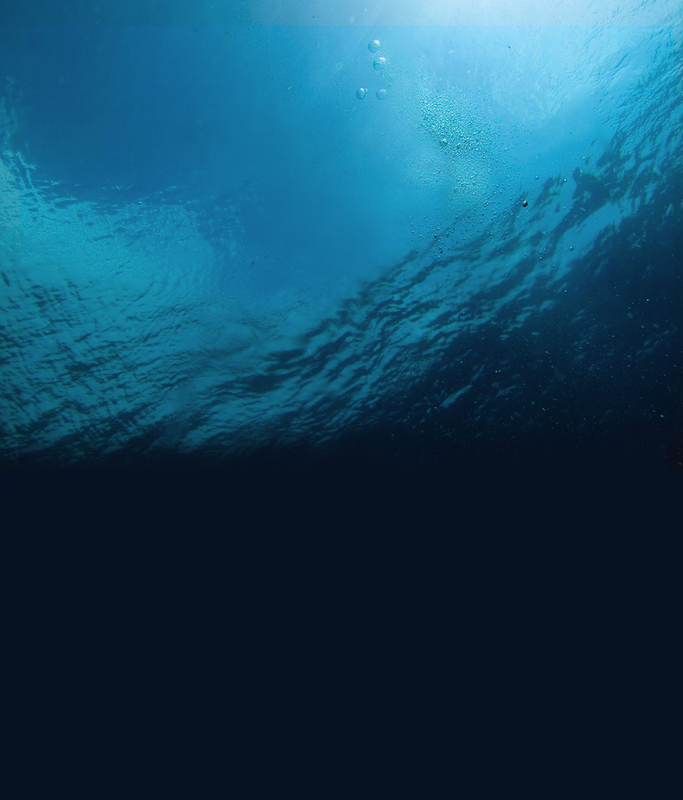 Get involved in marine conservation.There are many organizations to check out.